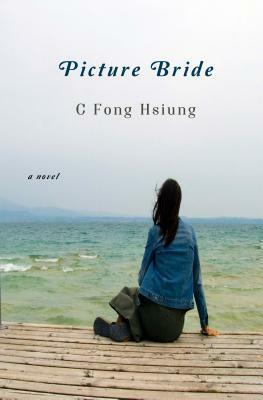 Picture Bride is set in the 1960s in a Hakka community. Jillian Wu is sent to Canada to marry Peter a man she's never met at the behest of her parents and community. What was at first a cold and uncomfortable marriage turns physically and emotionally violent when Jillian discovers her husband is gay and did not want a wife. Between being a new immigrant, maintaining the illusion of being happily married and isolation is a story about finding your own way.I really enjoyed the fullness and lushness of the writing. Even when description is sparse, the minimalist writing still paints a vivid picture. The emotional heft of Jillian's confusion, her adjustments, her courage and fear is borne out fantastically. The way our protagonist's immigration experience is borne out, from Peter threatening her with her immigration status to the journey back home for the first time, is grounded from a reality. Also though I'm familiar with Chinese Indians, I really enjoy how bits and pieces of Hakka culture is given here. If anything, I would have liked to see more of the traditions outside of the characters themselves.I'm pretty much convinced some of the best diverse Canadian literature lives at Mawenzi House after reading Ghosts of Smyrna and Picture Bride. I can't wait to see what they come out with next.Full disclosure: I received this book as a review copy from Mawenzi House (formerly Tsar Publications) in exchange for an honest review. I enjoyed reading this account of the clash of cultures between traditional Hakka culture of the Chinese in Calcutta, versus modern Canadian freedom. The homey details add color and interest. C. Fong Hsiung - C. Fong Hsiung released a novel, Picture Bride, in November 2014 via TSAR Publications now re-branded as Mawenzi House. She also wrote “Alfie,” a short story published by Life Rattle Press for The Totally Unknown Writers Festival 2012, which was also featured in Life Rattle Radio.